There have been 45 men to hold the highest office in our nation. Do you know which one is on the list twice? Who had the shortest term in the White House? Or which one made the phrase: “The buck stops here” popular? Take our quiz and you will! Fun facts about the U.S. Presidents. Only one president has been elected by a unanimous vote in the Electoral College. Name that president. Our first president, George Washington, who served from 1789-1797, is the only president to have been elected by the unanimous vote of the Electoral College. While in school, which activity did George W. Bush not participate in? George W. Bush played union rugby and baseball in college. He was a cheerleader in high school. John Adams was the first president to live the in White House. John Adams, who was president between 1797 and 1801, moved to the still unfinished White House in 1800. Thomas Jefferson is famous for being involved in many different things throughout his life. In addition to being a politician, he was also an architect who designed his own home. What was the name of that home? Jefferson’s home was called Monticello. It was completed in 1809 and is about 11,000 square feet and has 43 rooms. You can take a look at the house on the back of a nickel coin. This president, always a slave to the fashions of the 1810s, was the first to wear long trousers instead of knee breeches. Name him. James Madison, who was president from 1809-1817, was the first to wear trousers. James Monroe set a policy of remaining neutral in European affairs and expecting European nations to recognize independent nations in the Americas. That became known as the Monroe Doctrine. This president is the only one to have served in Congress after his presidency. Name him. John Quincy Adams served in the U.S. House of Representatives for Massachusetts for 17 years after leaving the White House. As a representative, he was an ardent opponent of slavery. This president is the only one to have successfully paid off the national debt. Andrew Jackson, known as “Old Hickory,” is the only president to have successfully brought the U.S. out of debt. His success might have backfired however. In the years after the debt was paid, the country sank into a depression that lasted from 1837-1884, during which time the debt increased 10 times more than before. President Martin Van Buren’s first language was not English. What language did he grow up speaking? President Van Buren was born in New York and spoke Dutch as a child. He is also the first president to have been born an American citizen, since every president before him was born when the United States was still a British colony. President William Henry Harrison was president for the shortest time. How long did he hold the office? President Harrison held office for 31 days. He caught a cold shortly after his two-hour inauguration speech on March 4th, only to pass away from a respiratory illness on April 4, 1841. Which constitutional amendment was John Tyler’s presidency responsible for? The 25th Amendment, which outlines the order of succession to the office of the president, was written long after Tyler entered office. But it set the precedent for succession after William Henry Harrison died in office. Which of the following did not occur during James Polk’s presidency? The U.S. Naval Academy opened. The Oregon territory was secured. Construction began on the Washington Monument. The first postage stamps were issued. The Louisiana Territory was purchased. The Louisiana Purchase took place in 1803, before Polk became president. But all of the other events took place in the busy Polk White House, in addition to victory in the Mexican-American War and the opening of the Smithsonian. Polk was arguably one of the most successful presidents because of his ability to accomplish so much during just one term. Zachary Taylor died six months after taking office, and the cause is believed to be gastroenteritis. What food caused his illness? Taylor had milk and cherries at a 4th of July picnic before becoming ill. Though there are theories that he was poisoned, it has never been proven, and medical experts now believe it was the unhealthy climate of Washington, with its open sewers and flies. Taylor came down with cholera morbus, or acute gastroenteritis as it is now called. This 13th president was never actually voted into office. Millard Fillmore became president after Zachary Taylor died in office. And when he ran for reelection after his term, he lost. What dubious honor and presidential first is associated with Franklin Pierce? He was the first president to be impeached. He was the first president forced to resign office. He was the first president to have a full-time bodyguard. He was the first president to be the victim of an assassination attempt. Pierce was the first president to have a full-time bodyguard. He has a reputation for being one of least effective presidents as he was involved with the repeal of the Missouri Compromise, which allowed the question of slavery in the West to be reconsidered. This president, who held office during the years preceding the Civil War, is consistently ranked as the country’s worst president. Name him. James Buchanan is often considered our least effective president because of controversy surrounding the Dred Scott case, the Utah War, economic issues and the eventual succession of Southern states. Which political party did Abraham Lincoln belong to? Abraham Lincoln was the first Republican to be elected president with 180 electoral votes, compared with 123 shared by his three opponents. Andrew Johnson was the first president to be ____. Andrew Johnson was impeached in 1868, but the vote fell short of the two-thirds necessary to actually remove him from office. President Ulysses S. Grant made his reputation as_________ before holding the highest office in the nation. In the 1876 election, the electoral votes of four states were in dispute and the election was decided by a Congressional Commission. Which president was chosen this way? A Congressional Commission chose Rutherford B. Hayes as president, even though he lost the election by 250,000 popular votes. The deal was made after he agreed to withdraw Union troops from the Southern states, ending Reconstruction. James Garfield was shot four months after being inaugurated as the 20th president. Who was his assassin? Charles J. Guiteau shot Garfield, who died two months later from his injuries. He is believed to have been insane at the time of the shooting and he was later executed for his crime. Though Chester Arthur entered office without much support after his predecessor had died, by the end of his term his success in reforming civil service had gained him respect and popularity. This president is the only one to have held his wedding at the White House. Grover Cleveland married Frances Folsom in June of 1886 in the Blue Room of the White House. Which president is the only one to have served two, non-consecutive terms in the White House? Grover Cleveland holds the distinction of having served as president twice. He served from 1885-1889 and from 1893-1897. Benjamin Harrison was president from 1889-1893. How many states entered the Union during his term? Six. North Dakota, South Dakota, Montana, Washington, Idaho and Wyoming became states during Harrison’s term. William McKinley was both the last president of the 19th century and the first president of the 20th century. William McKinley was president from 1897-1901 before his assassination. Name the youngest person to become president of the United States. Theodore Roosevelt was the country’s youngest president. He was 42 when he took office. Theodore Roosevelt started his own political party when he failed to secure the Republican nomination in the 1912 election. What was the name of that party? Theodore Roosevelt declined to run for a third term in 1908. But after he returned from an African safari and long trip to Europe in 1912, he tried to take the party nomination from Taft. When he failed, he started the Bull Moose Party and beat Taft. But he lost the election to Democratic candidate Woodrow Wilson. After serving one term as president, to what office was William Howard Taft appointed? Taft became Chief Justice in 1921 after Warren Harding appointed him to the court. Woodrow Wilson was awarded the Nobel Peace Prize for what effort? Wilson played a key role in negotiations with Germany at the end of WWI, and he pushed for the creation of the League of Nations as a part of that process, even though the United States never joined. What does the G in Warren G. Harding stand for? Our 30th president’s middle name was Gamaliel, a biblical name which comes from the Old Testament. Calvin Coolidge was born on July 4th, 1872 and became president in 1923 after Warren G. Harding died in office. President Herbert Hoover lived abroad for a number of years before returning the U.S. and entering politics. Which countries did he work in? After graduating from Stanford, Hoover worked for a British mining company in Australia and China before the outbreak of WWI. What was the name of Franklin Delano Roosevelt’s dog? Fala, a Scottish Terrier, was the Roosevelt’s dog in the White House and was called the most photographed dog in the world. He may, however, have some competition with the addition of the Obama’s dog, Bo, to the White House. Which of the following cannot be attributed to Harry Truman? "The buck stops here. " Truman said, or at least popularized, the first three statements. “The only thing we have to fear is fear itself” is from a speech given by FDR. Dwight D. Eisenhower was known for his military career before becoming president. He was also quite athletic. Which sport didn’t he play at some point? Dwight D. Eisenhower played football at West Point after failing to make the baseball team, which at one time he considered his biggest disappointment. He became an avid golfer in later years. There are not many records of him being much of a basketball player. Who was the 35th president of the United States? John F. Kennedy was the 35th president. He served from 1961-1963. Richard Nixon lost his first run for the presidency to which president? Nixon lost the 1960 presidential election to Kennedy. Many people believe that his loss can partially be attributed to the results of a televised debate against Kennedy, in which Nixon appeared unhealthy and the younger Kennedy was much more telegenic. Who was the longest living U.S. president? Gerald Ford, who died in 2006 at 93, is the longest living U.S. president to date. Jimmy Carter, born in 1924, was the first president to be born in a hospital instead of at home. President Jimmy Carter was the first U.S. president to have been born in a hospital. This particular hospital was near Plains, Ga.
Ronald Reagan tried twice, unsuccessfully, to secure the Republican nomination to run for president before winning both the nomination and election in 1980. True. Ronald Reagan was an actor by trade and entered politics in 1966 when he became the governor of California. He tried for the Republican nomination in both 1968 and 1976 before becoming president. Multi-tasker George H. W. Bush was an overachiever from the start. True or False: Bill Clinton was born with the name William Jefferson Blythe, III. True. Clinton’s mother remarried after his father died. Clinton took his step-father’s last name as a teen. President Barack Obama is the first president to be born in Hawaii. 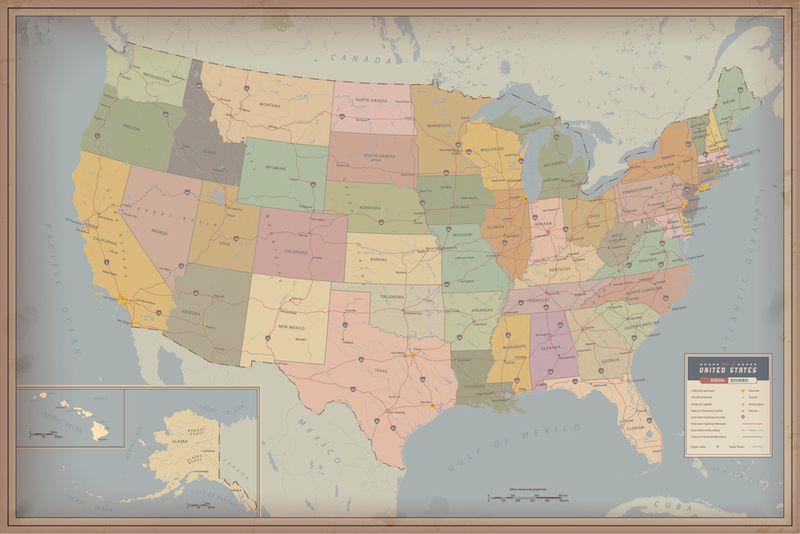 Which state have the most presidents lived in? Virginia is home to almost one-fourth of our presidents, including George Washington, Thomas Jefferson, James Madison, James Monroe, William Henry Harrison, John Tyler, Zachary Taylor and Woodrow Wilson. Which of the following statements is true of the White House? President Truman knocked down the first White House and built a new one in its place. Numerous renovations have changed the White House’s original interior and exterior. 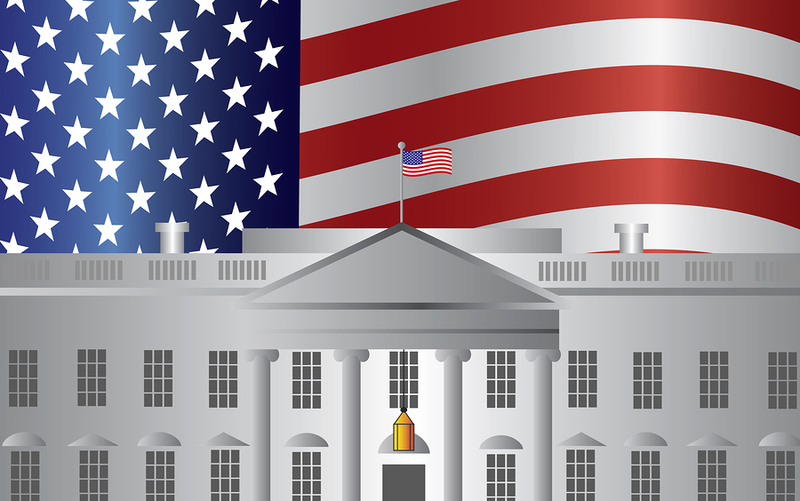 It has been the official home of all U.S. presidents since the founding of our nation. The only original structure that remains is the White House’s South Portico. The White House was completed in 1800, but since then it has undergone several renovations, both inside and out. This test is really amazing and since I learned so much from my teachers at Camp Ernst Middle School I only got 1 question wrong. Can my school be on the show it is Milton Hershey School. This was really hard I knew about a quarter of them. the test was good but hard to my students an me . This test was kind of hard but thanks to my learnings I have only got 2 questions wrong.I also thank my teacher for this!Learning about the presidents is important because it helps you learn what they do in our society to help the community and the people who live in it. there are so much stuff i didn’t know about especially the fact that i’m in 6th grade. i love channel one news it teaches me what need to learn. its okay, i stopped cause i have homework to do!!!! This quiz had some questions that were vague. I did not like the quiz very much. My whole class had problems with the answers as well. Honestly, I’m an independence baby 7/7/04 I’m not really into the other stuff. But, i like to do the activities anyways but still i appreciate them a lot anyways. Can you put this on the show too? Thanks BTW happy -late- Birthday Channel One!!!!!!!!! I honestly did not know any of the questions….